The Hong Kong based company Cyclops Optics is selling light pollution filters for Nikon full frame cameras. The filter can be "clipped-on" on top of the sensor in order to block light pollution for astrophotography. Update #1: This clip filter was made by STC and not by Cyclops Optics. Cyclops Optics is one of the resellers in Hong Kong. STC is a Taiwanese company and their website can be found here. Some tests can be found here. Update #2 from a reader: the clip filter is actually inserted during sensor cleaning mode. The mirror flips up and it sets almost level with the electric contacts. The filter bracket holds the mirror up after cleaning mode is disabled allowing for live view mode only. This solution works well with the D810 and D810, but not with the D610. A new STC MS Clip filter V2.0 is coming soon: the new version will not require the mirror to be locked up and thus should work with D610 and other models. 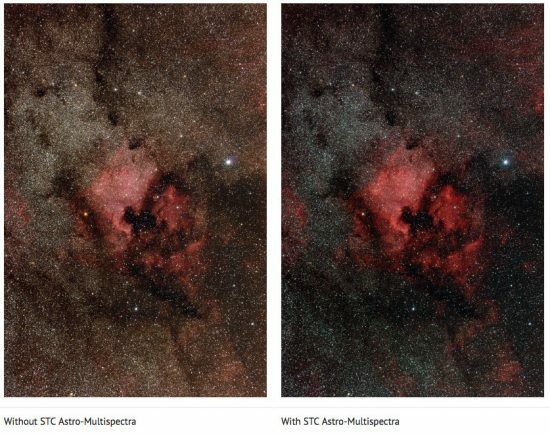 STC Astro-Multispectra Clip Filter for Nikon full frame bodies is a novel light pollution filter designed by STC Optics with transmission characteristics designed by professional astronomer and renowned astrophotographer Dr. Wei-Hao Wang. Placing the light pollution filter closer to the sensor reduces color shift that may occur at the peripheral areas of the image. 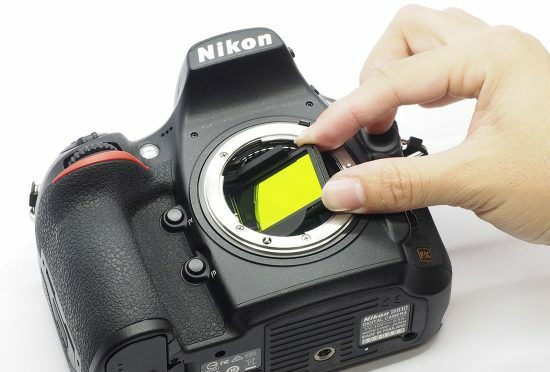 The clip filter design also offers We recommend using STC Clip Filter–Nikon FF–Astro MS with SLR lenses of focal distance 30mm or longer, and avoiding directly taking pictures to strong artificial light which causes slight flare on image. The material is A2 stainless steel which is virtually non-magnetic and less brittle at low temperatures. Specially designed Clip-shaped structure could be pressed firmly while attaching the lens on camera body. Therefore, the paralleled focal plane could ensure focusing performance clearly. It is coated by the use of the IBAD (Ion beam-assisted deposition) technology on Schott B270 optical glass, working for higher durability and easily cleaning. It will significantly reduce the interference from artificial lighting, such as mercury and sodium street light, yet allow the important nebula emission lines to pass, thus enhancing the contrast of astronomical objects. Clip Filter is designed for Nikon Full-Format cameras. Mounting and removing the Clip-Filter is quick and easy. The color shift problem that may occur due to the wide angle SLR lens in peripheral areas of the image could be reduced. The recommended SLR lenses focal length is 30mm or longer. 18 months original manufacturer warranty and lifetime warranty on aluminium frame. 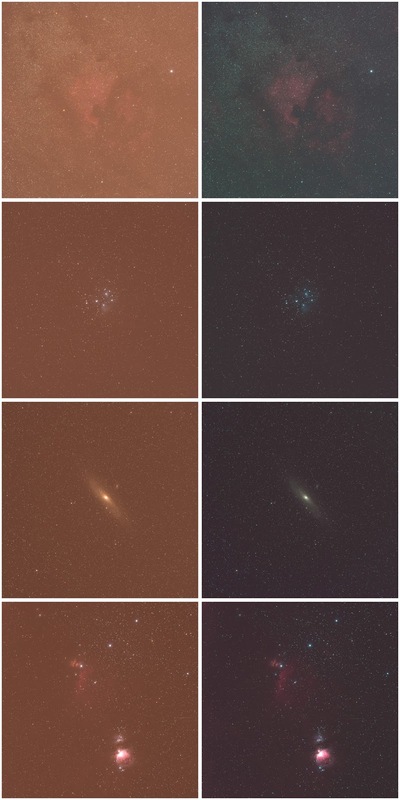 This entry was posted in Other Nikon stuff and tagged astrophotography. Bookmark the permalink. Trackbacks are closed, but you can post a comment.